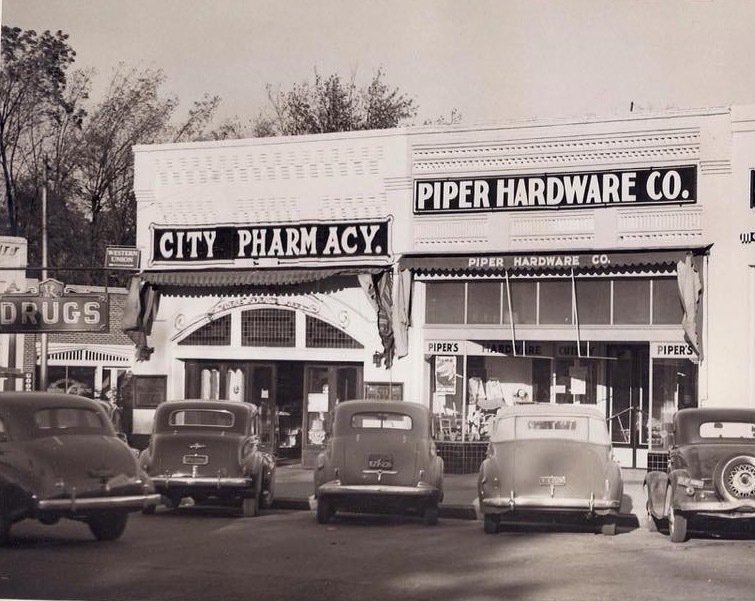 A vintage photograph of City Pharmacy back in its heyday. Photograph courtesy of Tedo and Sasha Stone, the owners of City Pharmacy. You most likely know Jerry Slater as the owner of H. Harper Station, the popular train depot-turned-bar in Reynoldstown that garnered praise for its masterful cocktails but sadly shuttered in April 2016. But Slater has always had a foot in the restaurant industry. His mom was a “fixer” for Pizza Hut—the person sent in to turn underperforming stores around, and Slater delivered pizzas in high school. He put himself through college by working in restaurants. After earning a literature degree from Purdue University in Indiana, Slater contemplated working toward a Ph.D, but found the politics of academia were tiresome. If he was going to stay in the restaurant industry, he decided, he was going to work for the best. He got a job at famed chef Charlie Trotter’s restaurant in Chicago before becoming director of restaurants at Louisville’s Seelbach. In 2008, he, Todd Richards, and Duane Nutter opened One Flew South in Atlanta. His wife, Krista, also has a culinary background. The Orlando native studied wine at the French Culinary Institute in Northern California and is a certified sommelier. She was working at Total Wine when she met Jerry, and as their relationship developed, she helped run the beverage program at H. Harper Station, along with administrative duties. Given the couple’s collective experience, it’s no surprise they’ve recently launched a new hospitality consultancy called Flying Pig Hospitality. 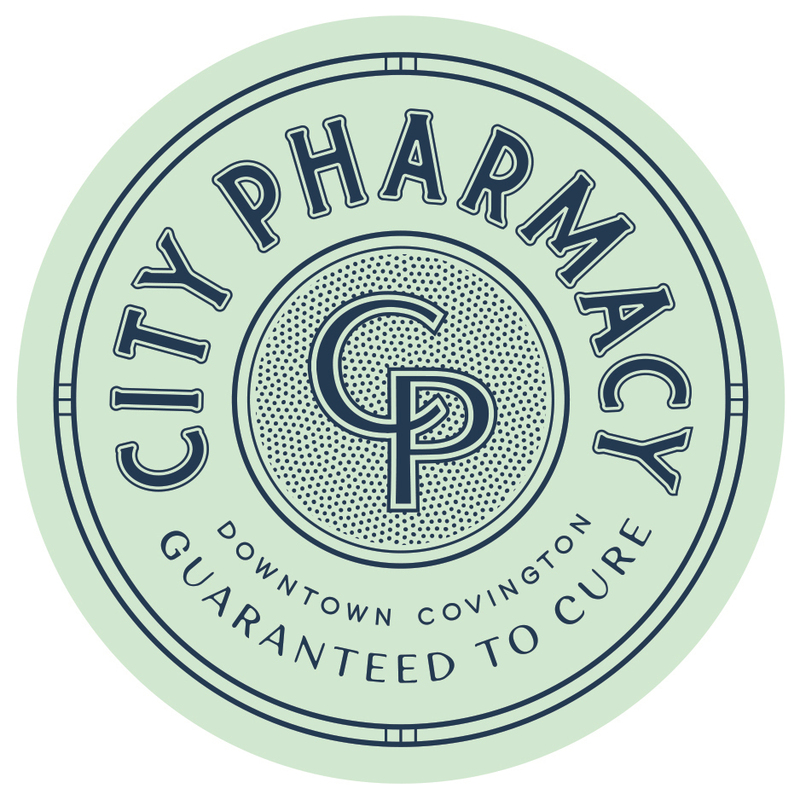 One of their first projects is consulting on City Pharmacy, a new restaurant located in an actual former pharmacy in Covington’s downtown square that dates back to the late 1920s. The restaurant is set to open by the end of this year, and the project seems like a natural fit for the couple, who recently led an authoritative class on acid phosphate cocktails at this year’s Atlanta Food and Wine Festival. This particular brand of cocktail is a relic from an era when pharmacies were also home to soda fountains that offered health tonics (such as Coca-Cola’s original recipe) and alcoholic drinks. The acid phosphate contributes balance and acidity to cocktail without overpowering the flavors. While Jerry (who is currently writing a book with the Southern Foodways Alliance on Southern cocktails and their histories) lectured like the literature professor he almost became, Krista made cocktails inspired by the upcoming City Pharmacy, including one made with lemon vanilla cordial, Maldon salt, and barrel-rested gin. What are you doing as consultants for City Pharmacy? Jerry Slater: We’re guiding the restaurant’s team through everything. They’re just starting construction, and the concept is really cool. [Restaurant owner] Tedo Stone grew up in Covington, and his father was a pharmacist. Stone worked at the pharmacy [where City Pharmacy will be located] as a counter kid. He went to UGA to become a pharmacist, then went back to Covington and bought the building. When the big box stores started pushing little pharmacies out, he [shifted jobs] but kept the building. So the idea is to turn the space back into a “city pharmacy,” not as an actual pharmacy, but something highlights the [idea of a community] meeting place and the food and beverage components of older pharmacies. Krista Slater: Todd Richards helped us design the initial food menu. The one thing that Jerry and I really don’t have is actual on-the-line cooking experience, so we wanted to bring someone in that we knew we could trust. [City Pharmacy has not yet selected its chef.] We’re going for an early American soda counter aesthetic—not too Southern leaning, but more playful spins on American classic comfort food. Maybe a meatloaf sandwich or chicken pot pie with a twist. Jerry: Like James Beard’s original cookbooks on celebrating American food. When you walk in, there will be a nice fifteen seat bar, and in the dining room itself we’ll have a raw bar. Krista: I think we’re calling it a cold bar because you can go and order a country ham plate but also raw oysters on the half shell and whatnot. How are you designing the cocktails to complement the food? Jerry: We’re having a lot of fun with them. Originally the restaurant owners wanted something like boozy milkshakes, but we started looking at what we call “parlor drinks”—drinks from the era of ice cream parlors, but still based in classic cocktail recipes. So there’s a Grasshopper on menu, a Brandy Alexander. You’ll be able to order the [cream-based] cocktails as either “classic” or “Midwestern.” In Wisconsin, for instance, they’ll serve a lot of these drinks with ice cream. So you can either get it just shaken with local half-and-half [“classic”], or you can get it put into a blender with ice cream [“Midwestern”]. Krista: There will also be another component of soda counter drinks: phosphate sodas with house-made syrup. During lunch service, you can order non-alcoholic drinks made with those syrups as well. And there will be a handful more of the classic cocktails—Manhattans, daiquiris. What will the interior be like? Krista: Tedo engaged our friend Ed Seiber, of Seiber Design, before we were actually even involved in the project. Ed and his team have put together a pretty beautiful design based on the story line we gave him. We wanted the restaurant to be less 1950’s sock-hop diner and more turn-of-the-century, up to the 1930s. It’ll have fairly high ceilings, beautiful original tile floor that is black and white and kind of a copper red. It’s not too Epcot in trying to be a replication of the 1930s—it’s nice, clean, with a marble and zinc-wrapped bar and brass fixtures. It’s sophisticated.